CTL Portal | Computers, Chromebooks, Laptops, Severs and more! This site is a portal to CTL’s various web sites and on-line resources including CTL’s ecommerce, support and customer specific websites. Watch videos, webinar recordings, product reviews and more. Check out CTL’s YouTube Channel. CTL is ‘ctldotnet’ on Instagram. Check us out. Check out CTL information, including current career opportunities on LinkedIn. Rugged, meet simple. Simple, meet rugged. The CTL Education Chromebook is a new type of computer. It updates automatically so it doesn’t slow down over time. Its design allows it to wake from sleep quickly and have a battery life of up to 9.5 hours. Students, teachers and professionals can quickly get to work because the CTL Education Chromebook starts in seconds. The anti-reflective screen minimizes glare and built-in virus protection makes it secure and easy to manage. 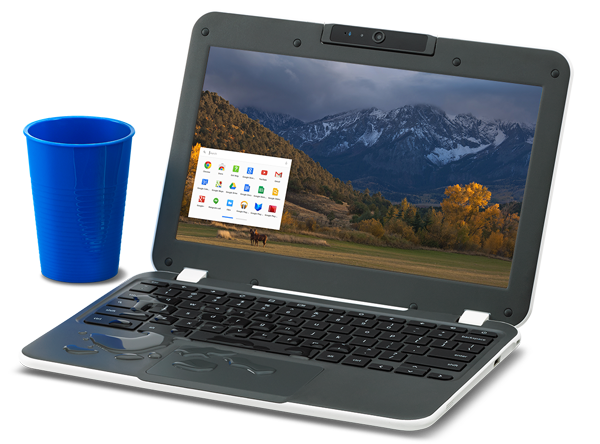 The CTL Education Chromebook is a fast, secure and simple solution with everything built in. This Hassle-free laptop is ready to go out of the box with no software to install. 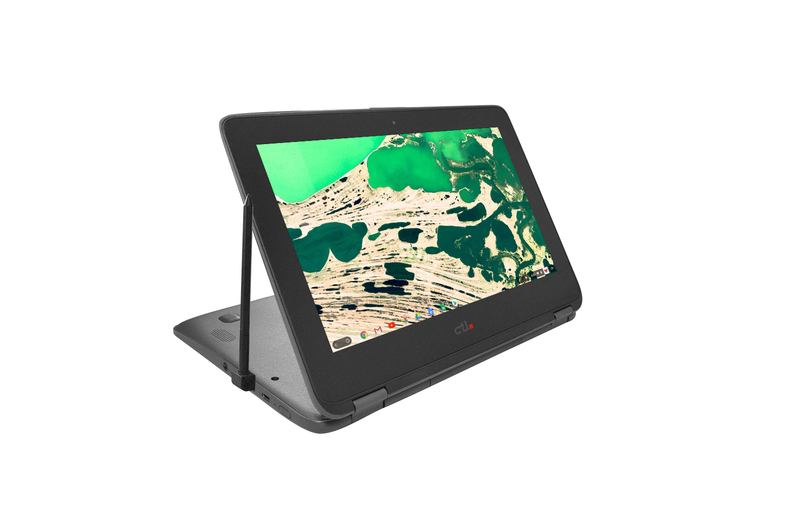 Its rugged design is great for students and people on the go. The CTL Education Chromebook features a fan-less design. Users can expect an average of up to 9.5 hours of battery life. Built for the classroom, and great for business or home use, files and settings are stored in the cloud so they can easily be shared and accessed from any device. Teachers can have the ability to control student Chrome browsers, access all students work, oversee student communications and monitor real-time student activity feeds. Built-in virus protection, multiple layers of security and verified boot ensures safety and privacy. Rugged Design for Students and Commuters. When dropped on a side or corner, the plastic bumper hits the ground first, protecting the LED Screen. Reinforced ports, water-resistant keyboard, a non-slip texture and low-profile carry handle make this the ideal laptop for children and commuters. Other features include an anti-reflective screen minimizes glare under fluorescent lights and near windows, and ergonomic keyboard with anti-peel keys and an easy-to-use interface. Purchasing in quantity? Request a quote on CTL products. The CTL Chromebook NL7TW-360 for Education is a powerful and cost-effective device for students and teachers.